The first solo exhibition of 26-year old Balthus (1908–2001), held in Paris in 1934, founded his lifelong reputation as a maverick with latent pervert penchants. 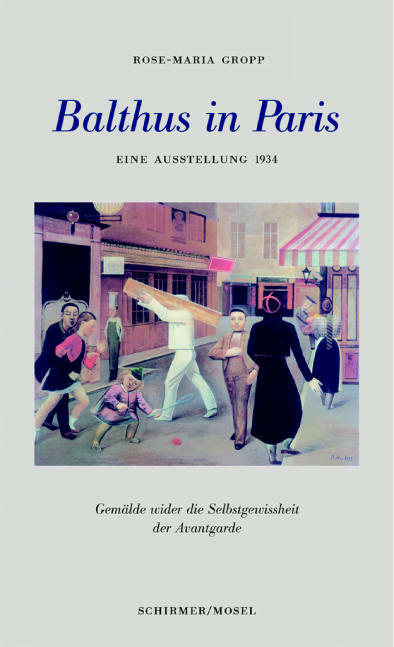 Our diligently edited Balthus volume presents the five paintings of the 1934 show, today considered among his major works. With an essay by art journalist Rose-Maria Gropp, one of the few to be granted an interview by the old artist in 1999. German text. Schirmer/Mosel. 128 pages, 8 colour and duotone plates. Size: 11,5 x 19 cm, hardcover.